Each year level page has starting links to general information about the topic for inquiry. These resources have gathered using tools like DIGGO (bookmarking) and LIVEBINDERS. These are sometimes known as curation tools. Yr 4 has been using SYMBALOO to easily share their resources with the students. This is another example of a bookmarking tool. An awareness that Google is not the only search engine is important. Each search engine has a different purpose (such as wikipedia). Later in this post are some examples of search engines for younger children. Wikipedia can a starting place to get an general understanding of a new topic or concept. It is now improved in its quality control (as content needs to be substantiated) and often can be the most current source of information on a topic. Weblinks and references to supporting information can assist students to explore more deeply about a topic. It is a springboard tool in my opinion. Like all sources ACCURACY of content needs to be assessed and this is a skill that students need to develop. One way to do this is using RADCAB – an acronym for Relevancy, Detail, Currency and Bias. This is an excellent online tutorial for students designed to teach them about these key aspects. NOODLETOOLS – is a student research platform. 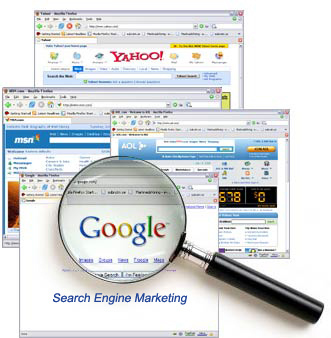 The following search engines are designed for younger students in mind. I strongly encourage younger students to use these. Understanding how to research and locate relevant information is a life skill. Students need to understand how different search engines work in order to be successful and efficient in their searching. – Identifying what they need to find! – Ability to scan and re-assess the research process. Using simple ‘tricks’such as using CONTROL F – to find a key word in a webpage or a lengthy PDF saves time and can be helpful to analyse the usefulness of a resource to the current inquiry. Designing a search query is also where some students struggle. This tutorial explains how to do this. Additionally, the following video looks at the importance of key word order when searching in Google. Why Word Order Matters in Google Searches created by Google’s Search Anthropologist Daniel Russell. Another great resource is the list of 10 Google search tips.